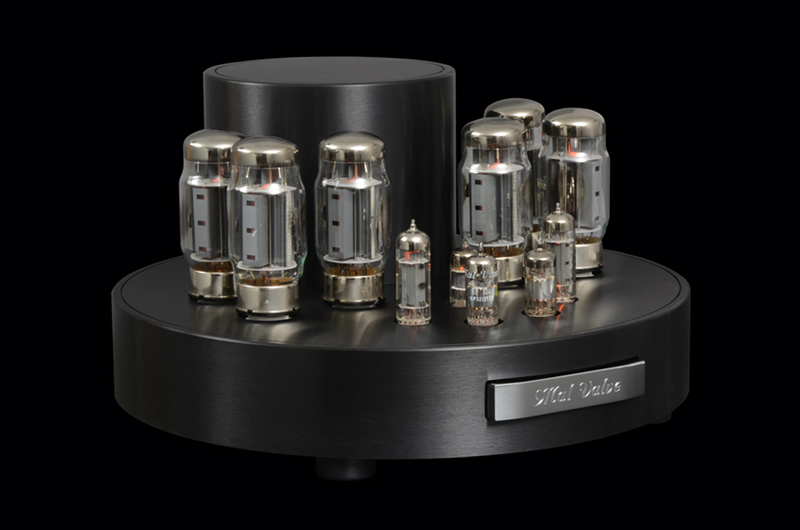 than 20 tube components including four magnetostatic-electrostat loudspeakers; power amplifiers, converters for phono, CD, headphones, speakers, and other items are all part of his lineup. Mr. Mallach, how did you make the jump from music lover to manufacturer? It all began in 1989 when I presented my first tube pre amplifiers, tube power amplifiers and magnetostatic loudspeakers. Really, it started quite a bit earlier, as I had been a music lover for quite some time and have been collecting various systems since my teenage years. It was during those formative years that I already begun to notice differences in loudspeaker designs, but also how various technologies affected amplifier designs. I frequently noticed a quite dramatic change in the overall sound of a system by simply swapping components for another; sometimes positive, sometimes moving into a different direction. My passion lies with acoustic instruments and the human voice in particular, thus many hours of enjoying live, unamplified music have shaped my hearing and listening tests. First and foremost, I am a jazz fan, although I do of course appreciate various pop, rock and classical music titles. 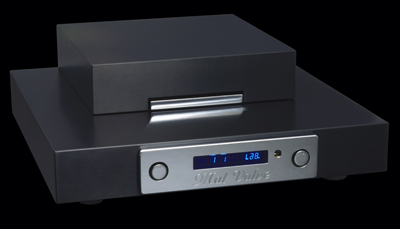 Like most Hi-Fi enthusiasts, my main goal is the continued improvement of a system – thus, one day I simply posited the question: Why don’t I give this a try myself? The result of which is today known and appreciated by many of my customers and my extended team here at Mal Valve, where we attempt to push the envelope each day. 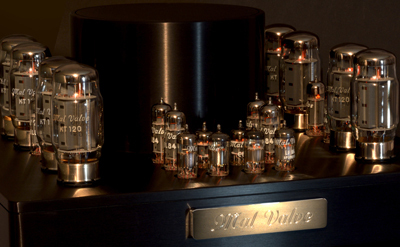 How would you entice a stranger to join the world of Hi-Fi and high end components? I would start him off with vocal recordings and would ask him to judge them on how realistic and authentic he would deem these to be. I would probably follow that up with some acoustic instruments and again posit the same question. In due time, I would change components or loudspeakers to get the sound closer to his ideal. What is so special about your high end components? We try to create the best possible components, be that electronics or loudspeakers for each segment they occupy. We do not compare ourselves to other brands, instead, we attempt to create products within the lines of our vision and technical know-how. Naturally, that doesn’t preclude various improvements down the line, alas, we never leave our customers stranded, as we offer them upgrade choices down the line if they so choose to take advantage of. Moreover, we don’t change our product lines and names all that often so that customers gain trust and long term viability in our brand. How important is “design” for your products? We take the subject of “design” very seriously with our products, as believe that designing an amplifier that looks like a cookie cutter would certainly fail to find a customer. Are there any technical developments that you are especially proud of? That is a bit of a tough question as throughout the years, we have always dedicated ourselves to creating the best products we know how. Naturally there are of course some technical performance aspects, which you can improve upon over time to bring them up to par with the latest technological advances. I suppose I might mention products we manufacture that are truly unique, which aren’t offered by anyone else: tube amplifiers for magnetostatic and electrostatic headphones, fully symmetrical tube crossovers, and of course our magnetostatic bass subwoofer for closed, non ported loudspeakers. Where there times when things didn’t go as “planned”? Of course! I suppose I can always mention the extended development time and constant changes for our all tube DAC and all the countless of prototypes for our mangetostatic-electrostat loudspeakers. What are your secrets to get and retain existing and new customers? 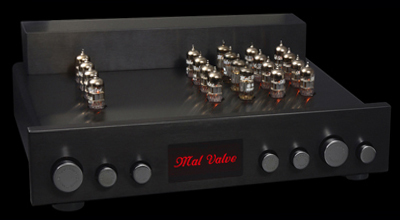 Over the years, our customer base has been increasing consistently to the point where we now have quite few international Mal Valve customers. Naturally, our core market is in fact Germany, but we thrive to delight any and all dealers and customers. We look to connect with our customers and potential customers at various trade shows and forums and we keep in touch with them via close communications on our most recent developments, improvements, product reviews and so much more. their setups. What are your thoughts on loudspeaker cables? You broach an interesting subject and one that is very near and dear to me. While I think that cables, including loudspeaker cables are in fact important – surely you won’t be running to your closest drugstore to get basic cable wires – I wouldn’t assign too much importance to them. After all, the right components and proper power line conditioning are that much more critical in first place. In my opinion it isn’t so much about the sound of individual cables as it is about how they impact the overall synergy of your system and components. Thus, an amplifier change for example, brings about the cable question anew..
the iPod generation to consider your vision of sight and sound? Indeed, trying to bridge the gap between compressed music playback (as mp3 files for example) and natural, lifelike recordings, is a daunting task with the current generation of music listeners. They simply haven’t had access to or heard proper fidelity playback. In principal, I would try to influence them by giving them insight into the world of music beyond the current crop of mp3 music: I would invite them to perhaps jazz or classical music venues to broaden their musical tastes so that they can organically see the world of music beyond their own genres. growth. What does your business look like currently? Our business is actually trending positive, year over year. Naturally, we are looking for all avenues of growth through new product introductions but also more trade show attendance and greater focus on our export markets. What does the term “Made in Germany” mean to you and how important is this for your segment? In Germany, that label seems to have lost some of its importance; customers seem to be looking for value products, not necessarily driven by country of origin. I think that this has a higher importance for our aforementioned export markets, where “Made in Germany” still has meaning and weight. What is the next development stop for your company in the coming years? 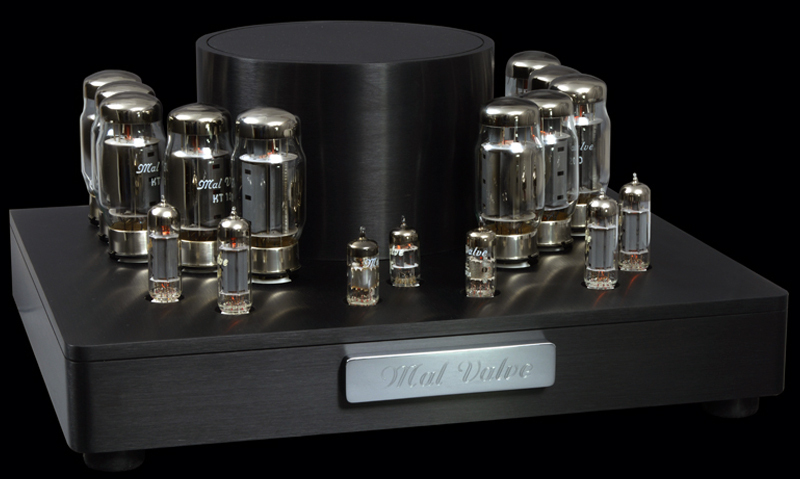 Currently we are working on an all tube amplifier for all headphones including electrostatic models, as well as a power amplifier with large power tubes and an equalizer / tone control unit. room and which components would you recommend to do so? Recreating an actual concert hall 1:1 in your living room is practically impossible to do. However, smaller venues are in fact far more possible to recreate and transpose into your living room. Having said that, what further speaks in favor of your home setup is the fact that in a typical concert environment you usually wont get the best seats in the house and most concerts use electronically amplified music anyway. Most often, these electronics and loudspeakers aren’t anything to write “home” about, so here again, you have the advantage of recreating a truer image at your own home. The better an amplifier and loudspeaker are, the closer you will get to realistic music playback. What is your preference, Compact Disc or vinyl records? I can’t answer that question in simpleton terms. Particularly in the beginning of the CDs development, technology simply wasn’t advanced enough for delivering a proper experience. Good A to D convertors didn’t really exist and also little care was given to proper source playback. 24 bit technology has in fact brought us closer to the ideal and today’s tone and sound engineers seem more keen on generating higher quality content. Naturally, as is often the case, one can’t really make such blanket statements either – too many times did I hear modern remasters which have been re-released for the tenth time to only produce mediocre sound quality. Of course, this doesn’t only affect the CD either; today’s vinyl records most often also have some kind of digital component to them as pure analog recording studios are becoming somewhat of a rare if not extinct entity. The actual transfer quality of the source is therefore seemingly more important than the source itself. Given optimal playback components, I would say that the CD and record are on about equal footing; with lower priced components, the classic vinyl record seems to have an edge. Which components would you recommend to a classical music lover? What about a fan of rock music? It all depends. I do take quite a bit of pride in my rock records, alas, most of them aren’t of great playback quality to begin with. Jazz on the other hand fairs far better: even older jazz records sound stunningly good at times. Classical music seems to be caught in between the genres; some are good, some aren’t, although I’d say that overall classical music in fact typically superior to what is available on rock titles. In the end, any good amplifier should resolve any and all music equally. Loudspeakers seem to offer the most with regards to determining the final sound: here again, we don’t presume one design inherently better to any other and in fact we have designed our speakers to play any genre equally well. any components you could recommend for the value conscious music lover? There are of course great entry level components and systems around the 2.000 to 4.000 Euro price point. Five digit prices aren’t necessary and in fact I think that a good headphone and proper headphone amp are probably the way to go in this price range.